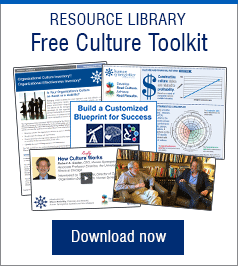 The Culture Workshop is the first step to becoming accredited in the Organizational Culture Inventory® (OCI®) and Organizational Effectiveness Inventory® (OEI). Learn how to interpret, initiate, and monitor organizational change with the most widely used culture survey in the world, the Organizational Culture Inventory, and identify and map progress using the levers for change and organizational outcomes from our integrated climate survey, the Organizational Effectiveness Inventory. If you need help registering, would like to know more about our Culture Workshop or our accreditation process, or are interested in bringing the Culture Workshop to a location of your choice, please get in touch and we will be happy to assist you. The Culture Accreditation Program is pre-approved for International Coach Federation (ICF) Continuing Coach Education (CCE) units and HR Certification Institute® recertification credit hours. This program has been approved for 21 (HR (General)) recertification credit hours toward aPHR™, aPHRi™, PHR®, PHRca®, SPHR®, GPHR®, PHRi™ and SPHRi™ recertification through the HR Certification Institute.